The snap of the sea air in the morning. Tasteful yet comfortable furnishings. 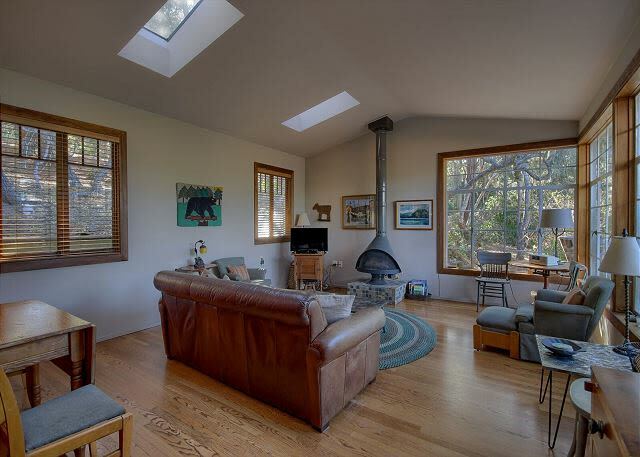 Spacious decks surrounded by ancient oaks and pines. 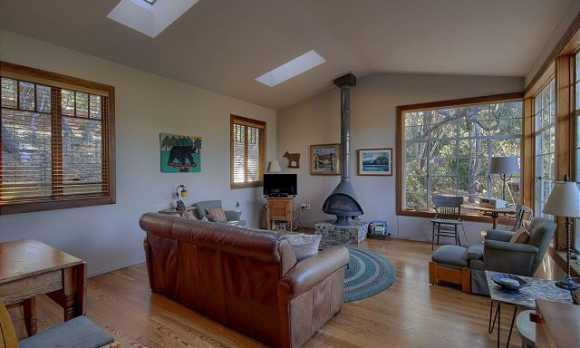 Cozy gas fireplaces. 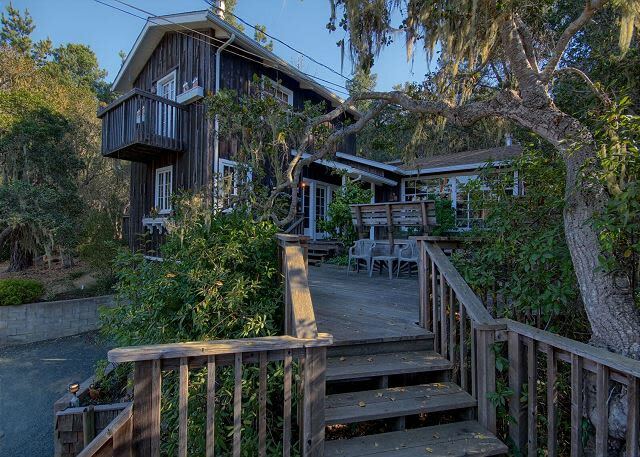 At Acorn Hideaway, refinement coexists peacefully with casual coastal living and old Cambria charm. 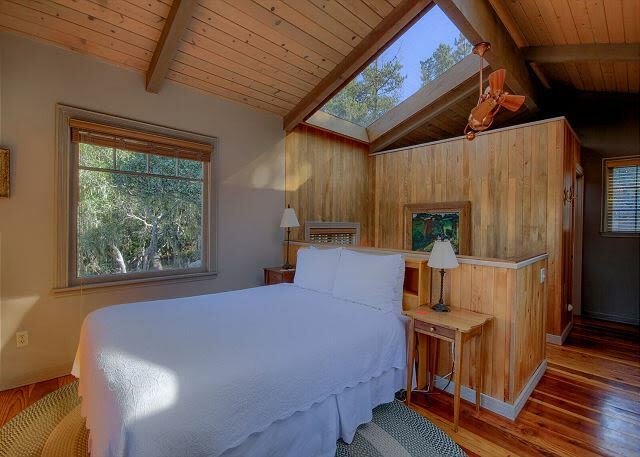 With two bedrooms, two baths and capacity to sleep 6, this delightful and pet friendly vacation rental takes comfort seriously. 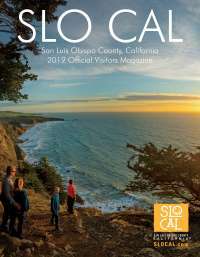 It's nested on Lodge Hill between the quaint village of Cambria and the seashore, and is only 15 minutes from Hearst Castle. 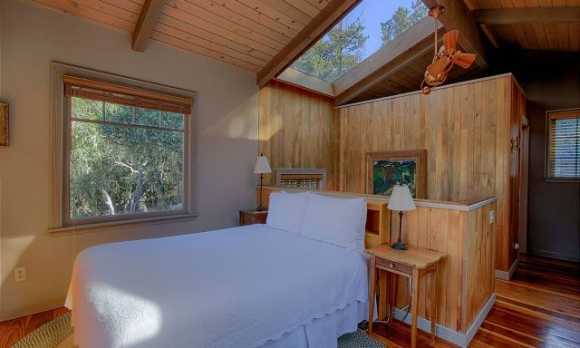 If you're looking for starlit nights and ocean-misty mornings, you'll find them in the cottage's several skylights. 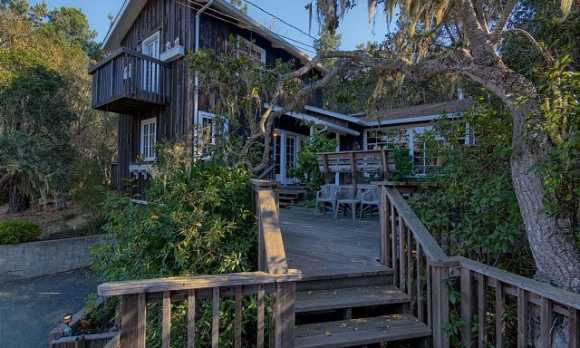 Acorn Hideaway is a return to nature - with a decidedly upscale accent.